Mikhail Khodorkovsky had it all. Back in 2002 he was the head of Siberian oil giant Yukos and the richest man in the world under the age of 40. The only thing Khodorkovsky didn’t have enough of was respect for Vladimir Putin. He repeatedly and publicly set about accusing the Kremlin of corruption and gave financial support to the political opposition. Unsurprisingly, this did not go down well with the then Russian President. 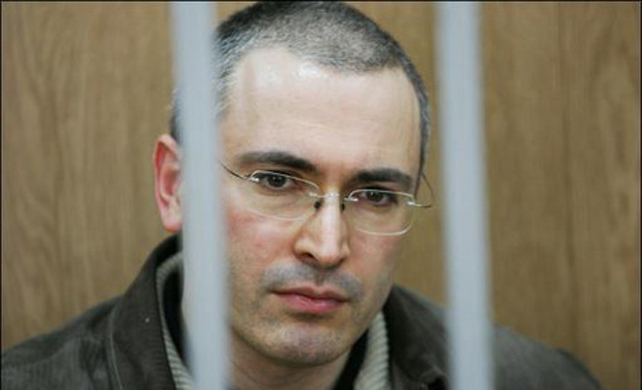 In October 2003 Khodorkovsky was convicted of tax evasion, as well as “stealing 350m barrels of oil” and was sent to languish in the Siberian prison where he remains to this day. However, in the wake of Russia’s recent presidential election Khodorkovsky now finds his sentence under review, with the suggestion that he could be freed. Cyril Tuschi’s bleak new documentary Khodorkovsky explores the charges against the recalcitrant oligarch and the cold, hard realities of Putin’s Russia. We spoke to Tuschi about whether the recent elections contained any surprises, whether audiences will sympathise with his documentary’s billionaire protagonist and whether anyone in Russia can realistically challenge Putin. GQ.com: What was your reaction to Putin’s re-election? How sympathetic are you personally to Khodorkovsky’s plight? I had and still have a little bit of an ambivalent feeling towards Khodorkovsky. My topic was ambivalence. He is a person who aimed high and acted heroic in the way that he came back to Russia, knowing that he would get arrested but now he must see that he made some kind of misjudgement either of his own powers or of the powers of his adversaries. Was it strange to make a film sympathising with a billionaire in the current economic climate? No, I never thought that much ahead. I always start a project from my personal point of view and only later did I think about the possible reaction from audiences. When I began, in 2006, there was no economic crisis in sight at all. What resources did you use in your research that you could recommend to people who want to understand more about contemporary Russia? There was no main source for my research in the beginning – I was plodding through the fog of unknown Russian territory. I was also a regular visitor to the webpage of Khodorkovsky’s team. I also read the Moscow Times and the many blogs of his lawyers, partners and family. Which documentaries have influenced you as a filmmaker? Those which inspired me to make a creative leap forward were: Man On Wire, The Corporation and The Fog Of War. Can anyone realistically challenge Putin’s power? The people can. The only danger is that Putin is using the tool of fear again, particularly the fear of political destabilisation as happened in the Nineties. Stability was and is Putin’s biggest asset, even though in reality he was just lucky to come to power at a time when the oil price had a spectacular upswing.